It seems like every new month brings a new Oreo flavor, from cotton candy to lemon and brownie batter. (And that’s just this spring and summer!) The cookie conglomerate’s newest cookie, though, isn’t a new flavor at all. It’s just 40% less cookie. “Oreo Thins” are hitting store shelves on July 13. If your first thought is “diet Oreo,” you’re not alone — but parent company Mondelez swears that’s not their intention, the Associated Press reports. Apparently the thinner cookie is, instead, meant to invoke sophistication: Oreos are for kids, according to their maker, but Oreo Thins are for grown-ups. The skinnier cookies aren’t meant to be twisted or dunked but instead just eaten — despite the fact that apparently half of Oreo eaters do in fact dunk or dismantle their sweet treats. 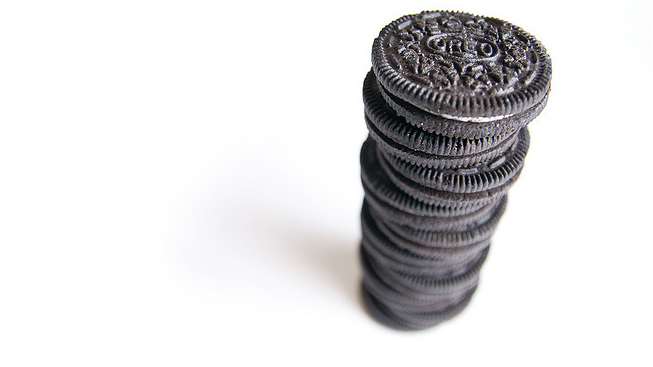 “If people want to do that, it’s clearly up to them,” a senior Oreo executive told the AP. So why is Oreo sucking all of the joy out of life? Because the thinner cookies sold like gangbusters after a trial run in China, and — despite cotton candy, s’mores, red velvet, and brownie batter — Oreo’s cookie sales are apparently slumping in North America. The company hopes that the thinner new product, which costs the same amount as the old product, will reverse the trend.